It was a great night to debut a new franchise, a new team and new uniforms! 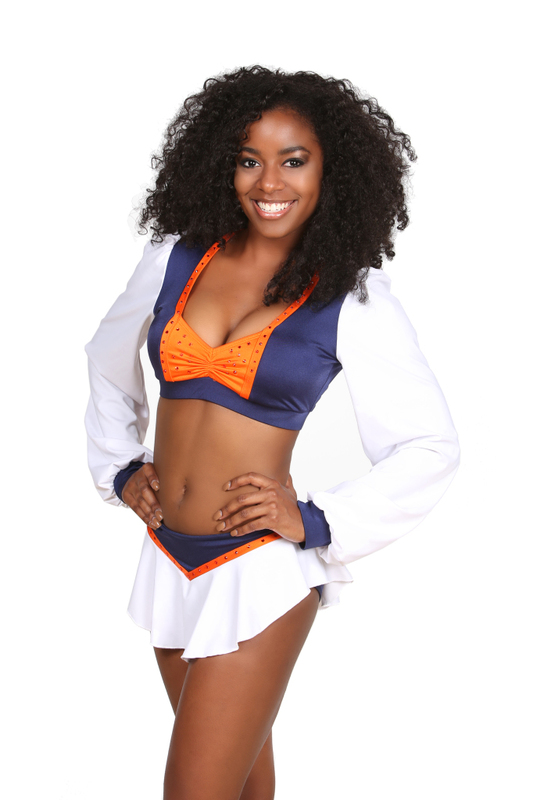 "The Westchester Knicks Dancers were a hit on their debut night, wearing this stunning orange uniform," Coach Heather Van Arsdel said. The Westchester Knicks staff worked closely with The Line Up designers to come up with this crowd pleasing uniform and we love how it turned out! It's very glamorous with the bold, sparkly zsa zsa fabric and sporty with the pop mesh and athletic lettering. One of our new customers reached out and is thrilled to give our followers an intro to her team. Check out THE 1st cheerleaders for the FXL! "The FXFL is a professional football league, which serves as a developmental platform for players, coaches and referees. In 2014, the FXFL’s inaugural season is comprised of four teams. 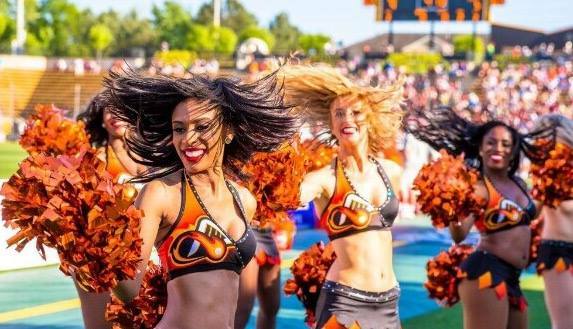 The Omaha Mammoths are the only team to select official cheerleaders for the 2014 season" and we, at The Line Up, are excited have created their uniforms! Under the direction of Carmen Butler, "the uniforms were designed with the NFL style in mind." We think they nailed it! The Omaha Mammoth took two of our webstyles (top and skirt) and customized them with their team colors. Start shopping now for YOUR uniform!